Eunice is well-versed in all aspects of conventional and Islamic banking documentation, encompassing both consumer and corporate banking. She has also advised and assisted in the drafting of security documentation for local and foreign banks. She has handled various domestic and cross-border financing and securitisation for corporate borrowings, project financing and ship financing. Eunice also advises local and foreign clients on general conveyancing, corporate loans, domestic and cross-border property transactions and commercial transactions. 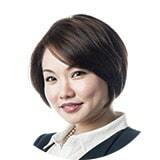 Before joining the firm, Eunice was a partner at Messrs Chor Pee Anwarul & Company where she handled the portfolio for banking & finance, property transactions and commercial agreements.